To Mulch or Not to Mulch…That is the Question! This is the sort of “between the seasons” period when we sometimes look around for things to do in the garden, just to be outdoors on nice days. And checking the mulch in your shrub borders or flower beds is one of those things than might occur to you. But why mulch in the first place? Well, mulch can keep down weeds. It won’t prevent all their seeds from germinating, but it can make it easier to pull them. It can insulate the soil from temperature swings, both summer and winter, and help retain moisture so that plants have a constant supply. An absorbent mulch can prevent splash that might pass a disease from the soil to the plants and control erosion from water and wind. And as it decomposes organic mulch feeds the plants and the worms, microbes and other organisms that benefit the plants. And, it can add to the asthetics of the garden just by providing a unifying feature. “Should mulch be replaced every year?” No! Replenished perhaps but not removed and replaced. “Can I use cardboard or shredded newspaper?” Sure, they’re organic and will decompose. But consider that voles can find shelter under the cardboard and shredded newsprint may blow around. And there is controversy as to whether office paper should be used at all because of the various chemicals involved in its production. I’d avoid it as a mulch. Just ship that paper off in your blue bins. “How deep should mulch be?” Three to four inches is enough, and of course that will be reduced as the mulch composts. 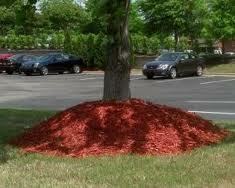 Say NO to mulch volcanos. The exception here is around trees or shrubs. Mulch piled against the trunk can serve as an “umbrella” shedding water that the roots need or when it does retain moisture two things may happen: the new roots grow upward rather than down or horizontally and the added moisture can lead to fungal canker and trunk decay. You want to be able to see the curve where the roots go out from the main stem. Don’t create a “volcano”! Blog Post Borrowed (with permission) from Jason Reeves, Research Horticulturist at the University of Tennessee. With the upcoming single digit temperatures predicted, you may want to think about protecting your outside potted plants. I typically think of plants as being one full zone less hardy when in a pot as opposed to being planted in the ground. Let’s take Loropetalum for example. It is a zone 7 (0 to 10 ˚) plant. If the temperatures drop between 10 – 20 ˚ (Zone 6) for any length of time, I would be concerned with it setting above ground. A lot of hardiness has to do with the length of time that the temperature is held at such. One night at 10˚ will likely do little to no harm but a few days at or below 10˚ could be the kiss of death. There are several things you can do to help protect plants with questionable hardiness. The most obvious is to move them indoors. An enclosed garage usually does the trick. You can bring them into a heated space, but it is best for them to remain dormant so don’t leave them in for more than a few days. Other options include digging a hole in the ground and planting pot and all, but that’s probably not an option today or tomorrow. Raking leaves or pulling mulch around the pots is another option. You can even pile leaves over the top for added protection. If the plant is a conifer (needled evergreen), don’t leave the raked leaves over the foliage for an extended time (several weeks) or you stand a chance of causing damage to the foliage. Any plant that is borderline hardy as well as plants that are considered hardy once established, but were fall planted (in the ground) would also benefit from some added protection of leaves and mulch. Plants I would be most concerned with include loropetalums, crapemytles, gardenias, edgeworthias, less hardy cultivars of Encore azaleas, variegated chinaberry, ‘Florida Sunshine’ Illicium and purple muhly grass. Contrary to what many people think, most all plants, particularly those that hold their foliage during the winter need to be well watered before the soil freezes. Once the soil freezes the plant cannot take up moisture but the foliage continues to need water and will desiccate in the winter wind. Once the soil freezes the plant cannot take up moisture but the foliage continues to need water and will desiccate in the winter wind. Another thing to keep in mind is that as temperatures begin to rise , the freeze/thaw cycles do damage to the root systems. 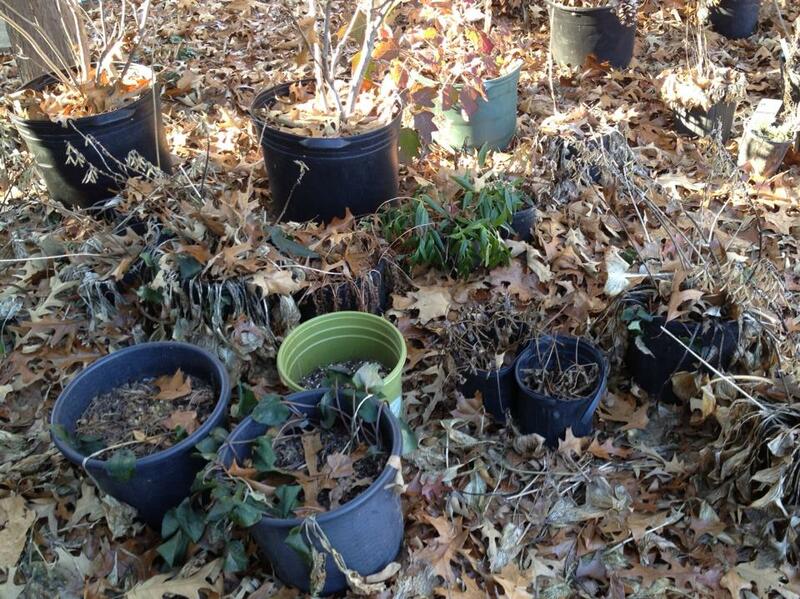 It is best if plants held in pots can be placed in a shaded location to temper the thawing process. Most of the year (generally April through November), routine NCDA&CS soil tests are provided at “no direct cost” to N.C. residents because of funding derived from a statewide fee on commercial fertilizer. 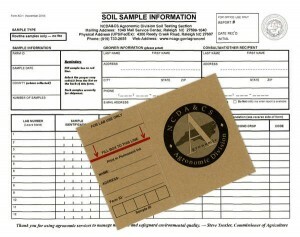 From December through March, however, a peak-season fee of $4 is charged for the processing of all soil samples. Sample boxes and instructions are not available by mail. Pick them up at your county Cooperative Extension office (49 Mt. Carmel Rd., Asheville, NC, in Buncombe County) or at the Agronomic Division office in Raleigh. 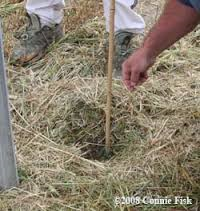 Contact the NCDA&CS Agronomic Division office at 919-733-2655 if you have any questions regarding the peak-season soil-testing fee. Article provided by Patsy McNatt, Extension Master Gardener Volunteer.